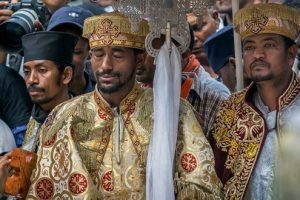 Investigators into a Boeing 737 MAX crash in Ethiopia that killed 157 people have reached a preliminary conclusion that an anti-stall system was activated before the plane hit the ground, the Wall Street Journal reported on Friday, citing people briefed on the matter. 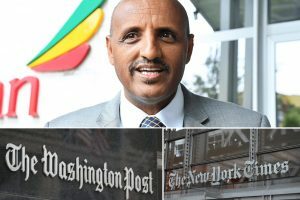 The newspaper said the preliminary findings from the “black box” recorders were subject to revisions, adding a preliminary report from Ethiopian investigators was expected within days. The plane crashed on March 10 shortly after take-off from Addis Ababa. 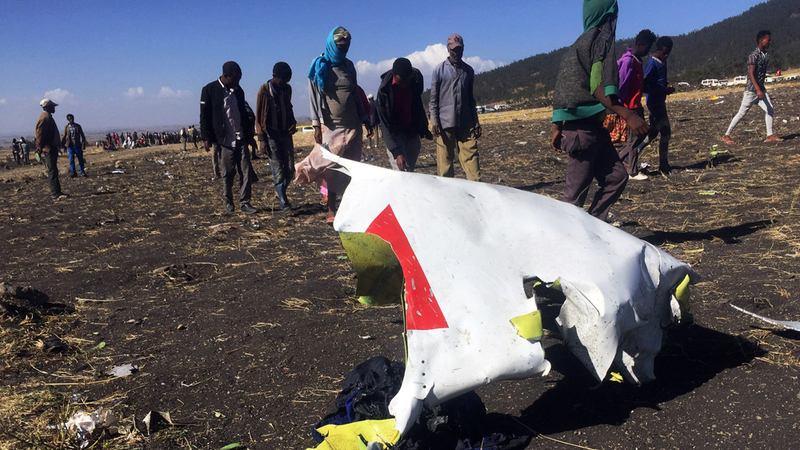 Investigators looking into a deadly 737 MAX crash in Indonesiain October have also focused on the new anti-stall system, called Maneuvering Characteristics Augmentation System (MCAS). According to a preliminary report from Indonesia investigators released in November, the MCAS on the Lion Air flight was repeatedly pushing the plane’s nose down due to erroneous sensor information. The two crashes, barely five months apart, have claimed a total of 346 lives. On Wednesday, Boeing said a planned software fix would prevent repeated operation of the system that is at the centre of safety concerns. Instead of depending on a single sensor signalling the angle of the plane’s nose, the MCAS will rely on data from both of the plane’s sensors. Boeing’s fastest-selling 737 MAX jet, with orders worth more than $500bn at list prices, has been grounded globally by the Federal Aviation Administration (FAA), although airlines are still allowed to fly them without passengers to move planes to other airports. On Wednesday US crew declared an emergency ‘performance issue’ after taking off in a 737 MAX and returned to the Orlando, Florida airport safely. The FAA said it’s investigating but that the emergency was not related to MCAS. On Thursday, a lawsuit against Boeing was filed in Chicago federal court by the family of Jackson Musoni, a citizen of Rwanda and United Nations employee who died in the Ethiopian Airlines crash. The lawsuit alleges that Boeing had defectively designed the automated flight control system. Boeing said it could not comment on the lawsuit. 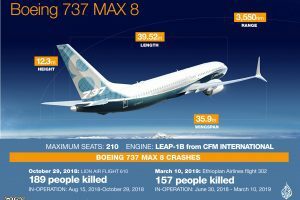 The amount and quality of training that Boeing and airlines provided to 737 MAX pilots is one of the issues under scrutiny as investigators around the world try to determine the causes of two 737 MAX crashes within five months. The US Department of Justice is investigating Boeing’s development process and what Boeing disclosed about MCAS. The US Transportation Department said on Monday that a new blue ribbon commission will review how the Federal Aviation Administration certifies new aircraft.